BEFORE YOU READ THIS BOOKI WANT YOU TO KNOW THREE THINGS:1. The police are looking to charge me with murder. The Dewsbury Desperadoes are on their way to Pontefract for a gig at the Allied Butchers' & Architects' Club. The Girl with the Chestnut Eyes is on her way to somewhere. And Raymond is heading for Gulag Grimshy. 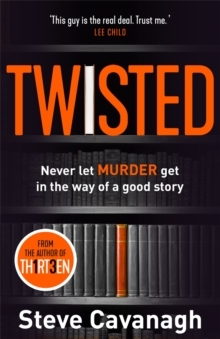 Raymond Marks is a normal boy, from a normal family, in a normal northern town. His dad left home after falling in love with a five-string banjo; his fun-hating grandma believes she should have married Jean-Paul Sartre: '1 could never read his books, but y' could tell from his picture, there was nothing frivolous about John-Paul Sartre.' Felonious Uncle Jason and Appalling Aunty Paula are lusting after the satellite dish; frogs are flattened on Failsworth Boulevard; and Sickening Sonia's being sick in the majestic cathedral of words. Raymond Marks is a normal boy, from a normal family, in a normal northern town. 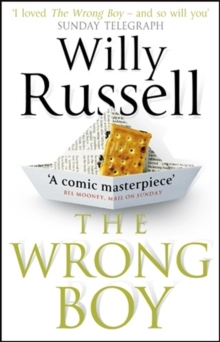 What if a teenage boy washed up on the banks of the River Thames, soaked to the skin and unable to explain who he is? What if the only clue to the boy's identity is a sketch he made of a strange symbol? Who would help him? Who would hunt him? 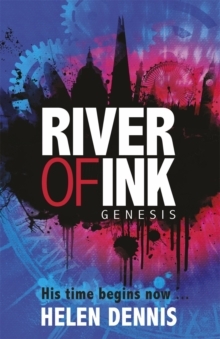 Who is River Boy? 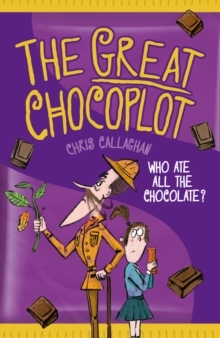 Author CHRIS CALLAGHAN will be joining us live by Skype to talk about his very funny book The Great Chocoplot. Determined to investigate, Jelly and her gran follow a trail of clues to a posh chocolate shop and its owner, the pompous Garibaldi Chocolati. Gari's suspiciously smug, despite his failing business and yucky chocolate. Is it really the chocopocalypse, or is there a chocoplot afoot?